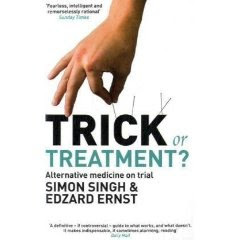 11am SIMON SINGH, author of Trick or Treatment, currently being sued by British Chiropractic Association. 12am ANDY LEWIS, runs Quackometer on the web. 2pm PROFESSOR JOHN GARROW, founder member of the charity "HealthWatch" which promotes proper testing of the health claims of all therapies, alternative or orthodox. Venue: Conway Hall, 25 Red Lion Square, Holborn, London WC1R 4RL – Main Hall. Lunch 1-2pm. Sandwiches can be bought at venue. £10 on the door. Free to Friends of CFI UK, PLUS GLHA, SPES, BHA, NEW HUMANIST SUBSCRIBERS.